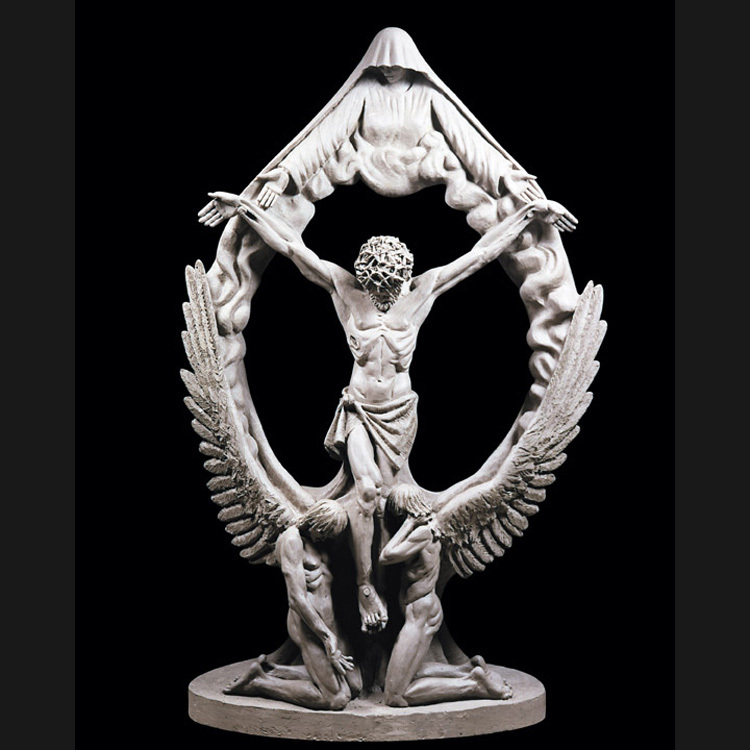 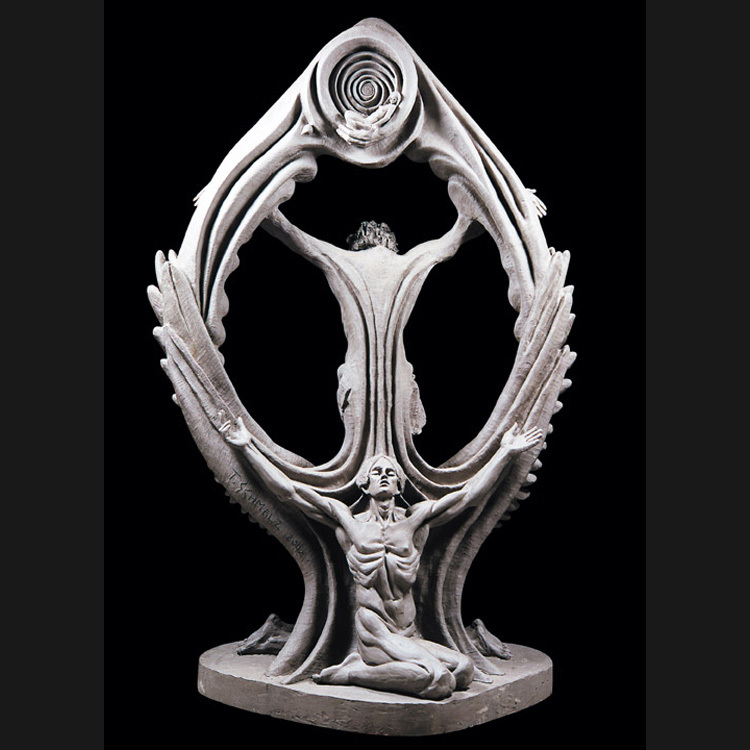 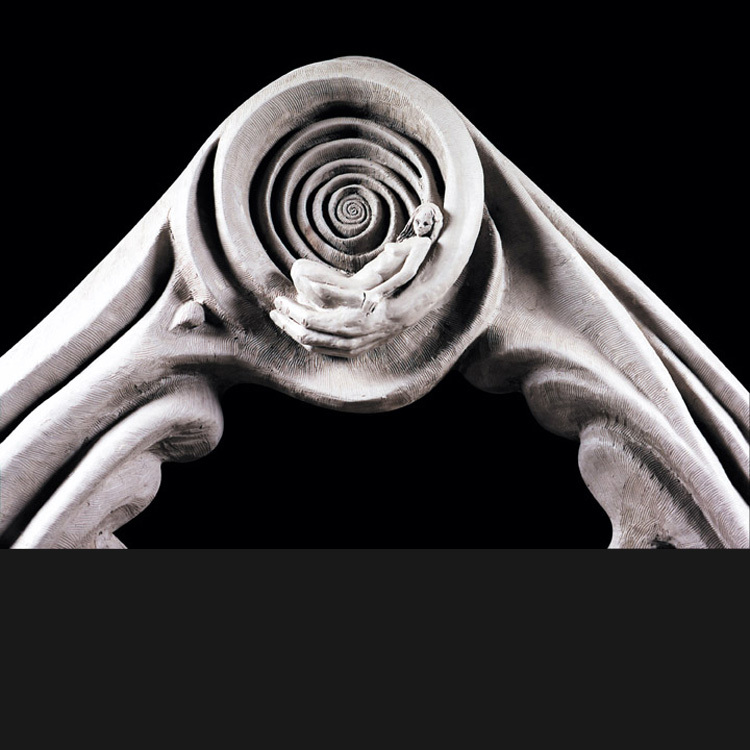 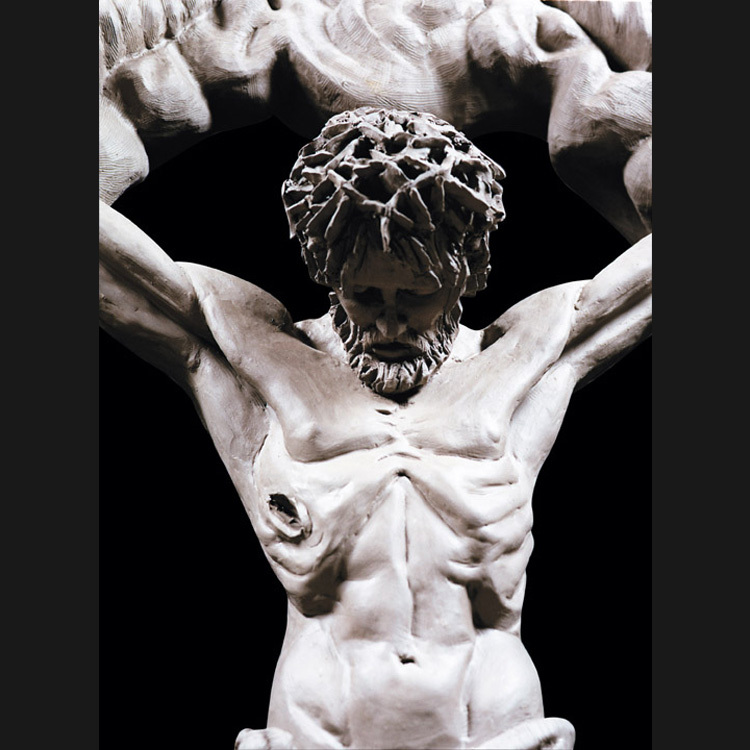 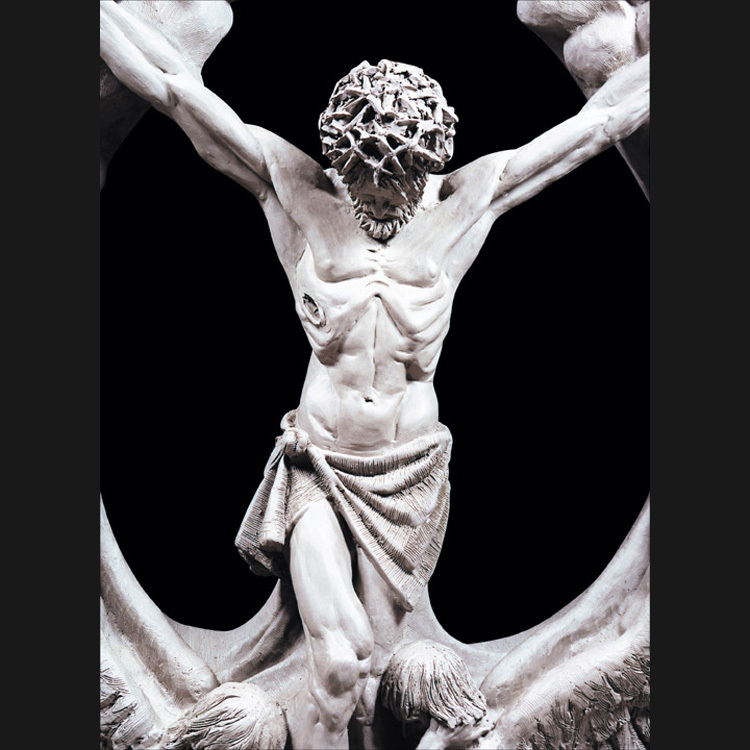 This piece is a crucifixion, a pieta and creation story sculptured all in one. 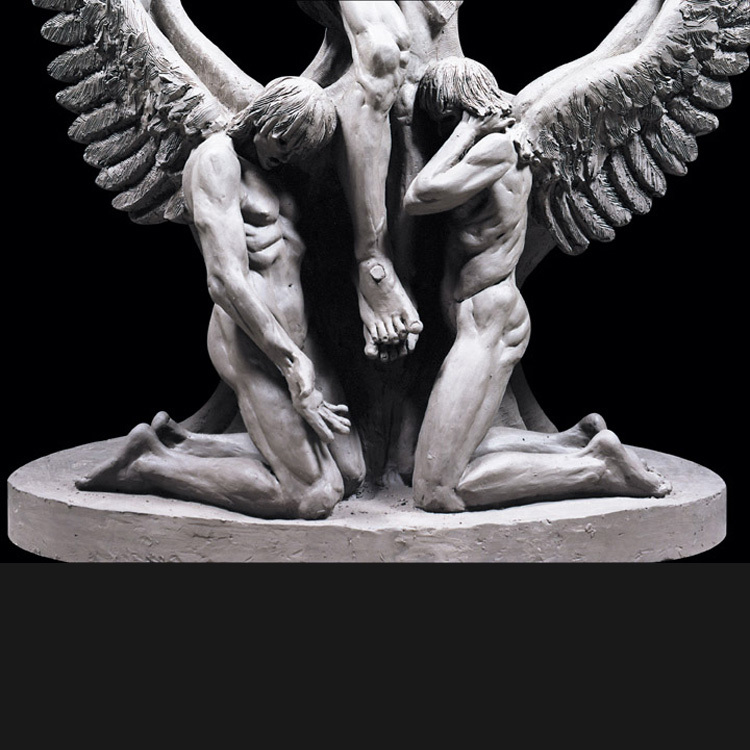 Raw emotion is expressed with two mourning angels at the feet of Christ. 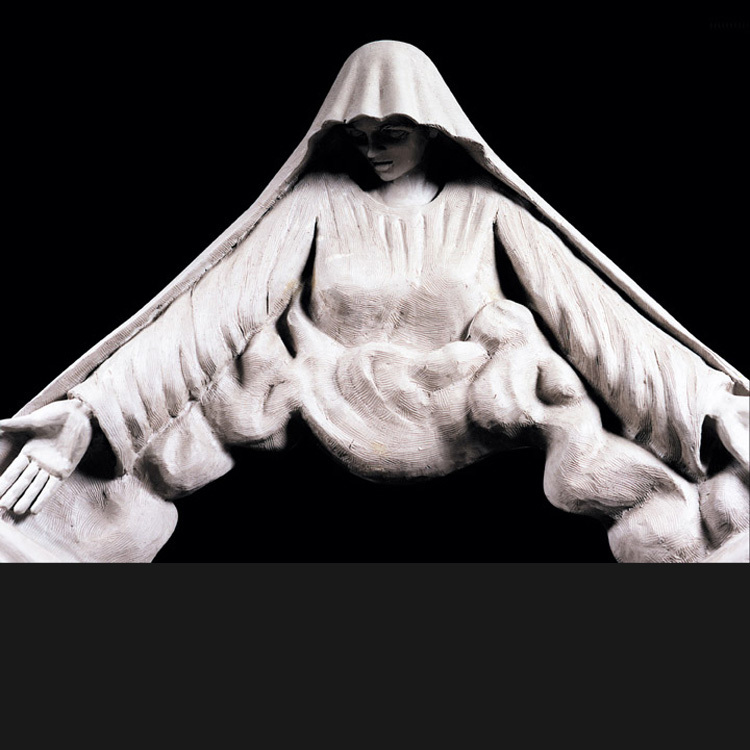 A shrouded Mary extends her hands towards the crucified Son of Man. 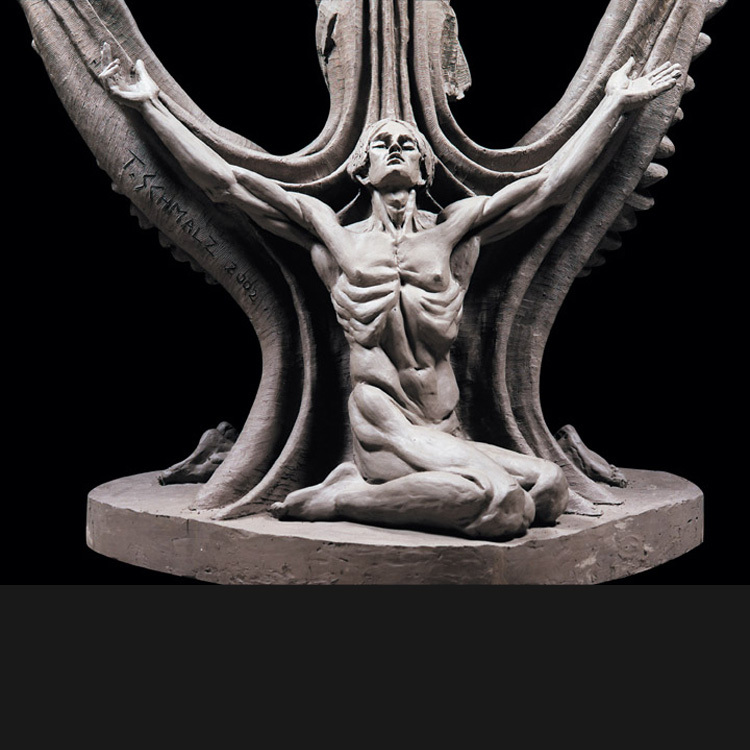 On the opposing side the Hand of God emanates from a coiled symbol of eternity that presents a delicate Eve descending from Heaven to an Earth-bound Adam.